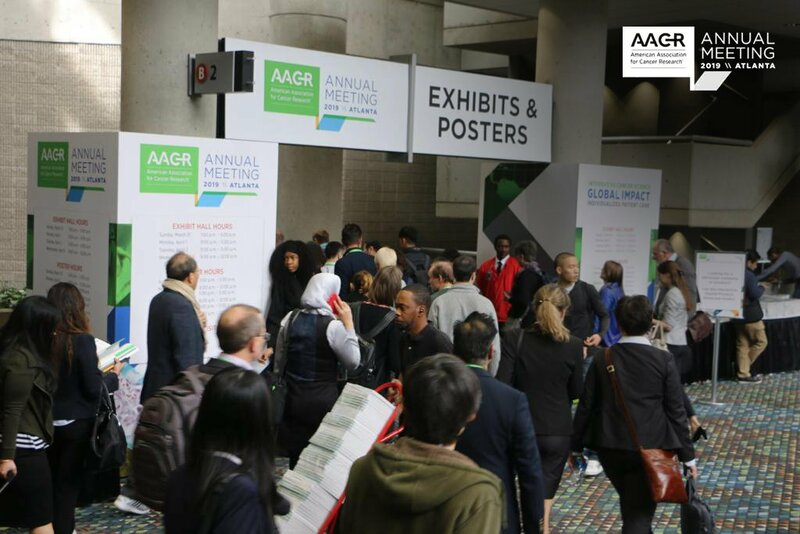 Review all the new data on patient-derived xenograft (PDX) models we’re presenting at AACR 2019 this week, including cancer types where there are limited preclinical models such as prostate cancer and sarcoma, novel platforms such as PDX-derived cancer organoids, and using PDX for predictive biomarker discovery. 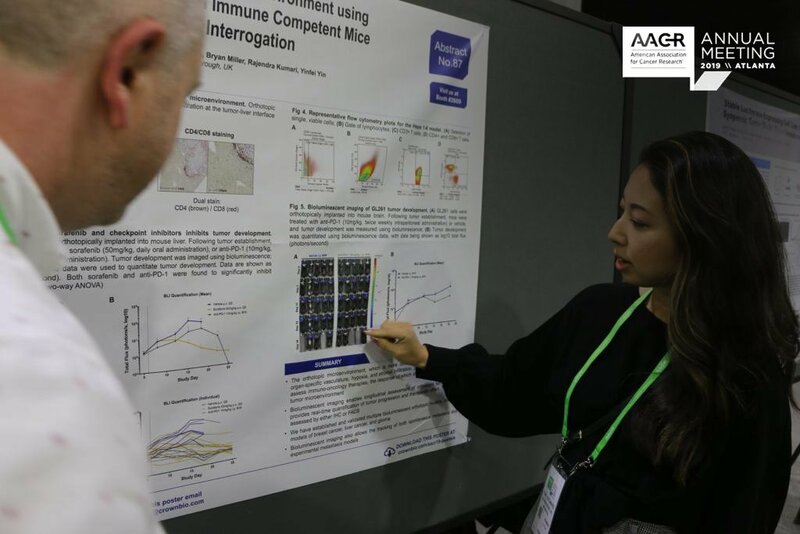 PDX models provide clinically relevant preclinical tools, as they are derived directly from a patient tumor into a mouse without the need to adapt and grow in vitro first. This results in the retention of patient heterogeneity, histopathology, and molecular pathology, and provides highly translational models across a range of cancer types. Prostate cancer PDX provide new predictive preclinical models, more closely recapitulating original patient tumors and disease, to help in the development of improved prostate cancer therapeutics. We’ve presented on our panel of models previously, developed from castrate resistant and hormone responsive patients; you can watch our dedicated webinar on prostate cancer PDX here. 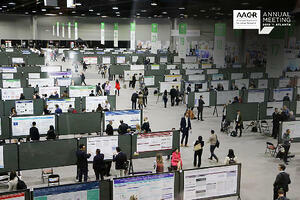 Poster 1060 recaps the key validation data on our four prostate cancer PDX models, treatment data on two CRPC models, and introduces new SoC data for model PR6513, developed from a hormone responsive patient. We’ve characterized our models to show that they retain the structure of the original patient samples. The CRPC models also maintain androgen receptor expression, have high KLK3 (PSA, confirmed by RNAseq) expression, and one model has a TMPRSS-ERG fusion. These data confirm our models as being clinically relevant, capturing clinical disease features. 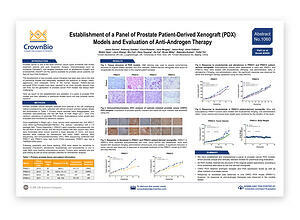 The poster also presents treatment data for a range of PDX models. 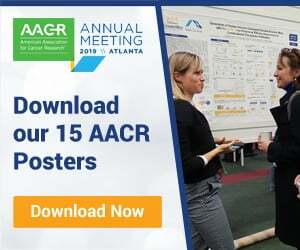 The CRPC models show varied response or resistance to docetaxel, and no response to anti-androgen therapies abiraterone and enzalutamide. The new treatment data focuses on model PR6513, with all primary prostate tissue and patient information for this model included within the poster. Overall, this panel of unique and clinically relevant prostate cancer PDX models provides new tools for preclinical drug evaluation, to help with prostate cancer research and drug development. 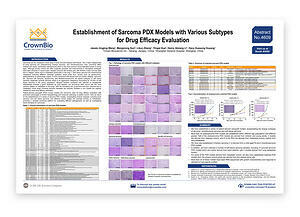 The next panel of PDX models we’ve developed are for sarcoma research. Sarcoma has a variety of subtypes including bone sarcoma (e.g. osteosarcoma, Ewing’s sarcoma, and chondrosarcoma), soft tissue sarcoma, and synovial sarcomas. 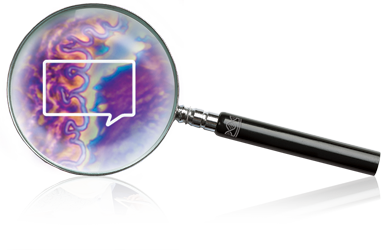 To develop new agents to treat each subtype preclinical models are needed which effectively capture each subtype clinical features. Another important factor in preclinical research is the availability of models from different disease stages – to model and attempt to overcome both primary and metastatic disease. Our sarcoma collection contains models derived from both primary tumors (derived from the original tumor site), and the matched metastatic tumor. Matched osteosarcoma treatment data is shown for a primary tumor, lung metastatic tumor, and recurrent tumor after targeted treatment showing varying treatment response to tyrosine kinase inhibitors such as apatanib and anlotinib. Our large sarcoma PDX panel of different cancer subtypes and stages provides a valuable preclinical platform for evaluating different pathogenesis, as well as investigating future therapies for sarcoma. As well as developing PDX, we’re also using our models to generate PDX-derived cancer organoid (PDXO) models for scalable and high throughput drug screening. Patient-derived organoids (PDO) are already a proven innovative preclinical model system. They are a comprehensive 3D spheroid culture, harbouring cancer multicellular components, and mimicking cancer lesion structures and tumor heterogeneity. 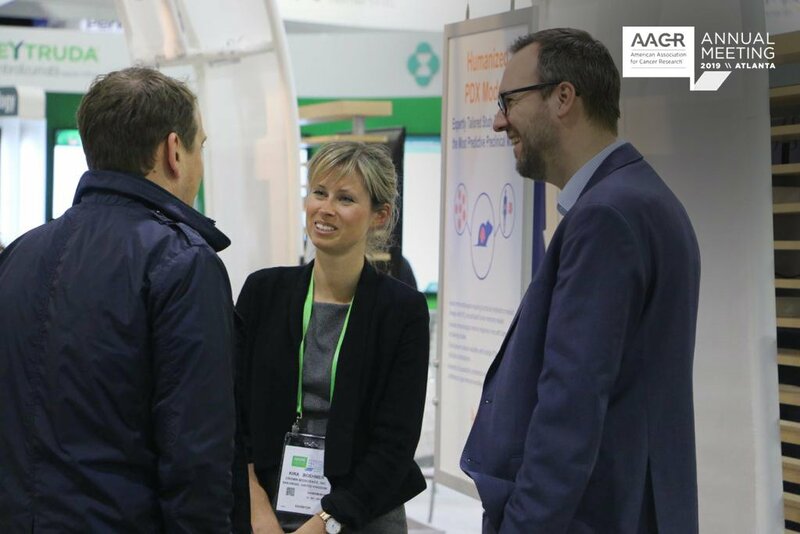 With our large PDX collection covering a wide variety of clinically relevant cancer types and subtypes, we have the opportunity to develop a unique range of PDXO models for drug screening and research. 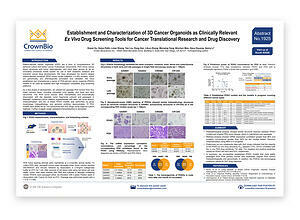 Poster 1925 details our first PDXO development phase, with the models stably passaged from colorectal, lung, gastric, and head and neck PDX primary tumors. Our newly developed models are undergoing stringent characterization and validation. We’ve confirmed that the PDXO models have the same histopathology structures as their corresponding PDX models, and that the PDXO morphology remains the same across early and late passages. We’ve also performed RNAseq analysis, showing that mRNA expression correlation and mutation concordance is high for the PDXO and matched PDX models tested. Finally, we’ve looked at treatment data across the PDX and PDXO models. Preliminary SoC cytotoxicity data shows that over 70% of the PDXO ex vivo drug sensitivity IC50 datasets correlate with in vivo PDX drug sensitivity TGI data. Overall, our PDXO models (stably passaged from PDX primary tumors) resemble original PDX tumors histopathologically and genomically and have encouraging predictive values for SoC drug response. 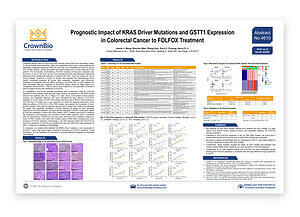 Our final PDX poster looks at a preclinical use for PDX models – predictive biomarker discovery in colorectal cancer (CRC). FOLFOX combination chemotherapy is one of the most common and standard first-line chemotherapies used for adjuvant and/or neoadjuvant treatment of CRC patients. 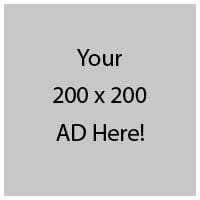 However, chemotherapy alone can’t completely eradicate all cancer cells (especially metastatic cells). Mutations in oncogenes such as KRAS may affect patient response, although so far there’s no hard evidence on the association of KRAS or other oncogenic drivers with resistance to FOLFOX. We set out to use PDX models to identify predictive biomarkers for FOLFOX treatment of CRC, particularly late stage disease. We correlated CRC PDX response to FOLFOX treatment with model genomic background, to hopefully identify genes with significant correlation to response or resistance. We’ve developed a large panel of CRC PDX models and for this study selected 16 PDX derived from Stage II or later patients. First, all models were treated with FOLFOX, with 6 models being sensitive and 10 showing poor response. The models all underwent biomarker and driver mutation analysis which showed that high expression of GSTT1 and wild type KRAS are correlated with FOLFOX sensitivity. Interestingly, this is consistent with clinical data. 32 CRC patients were treated with FOLFOX, and sensitivity was again correlated with wild type KRAS and high expression of GSTT1. 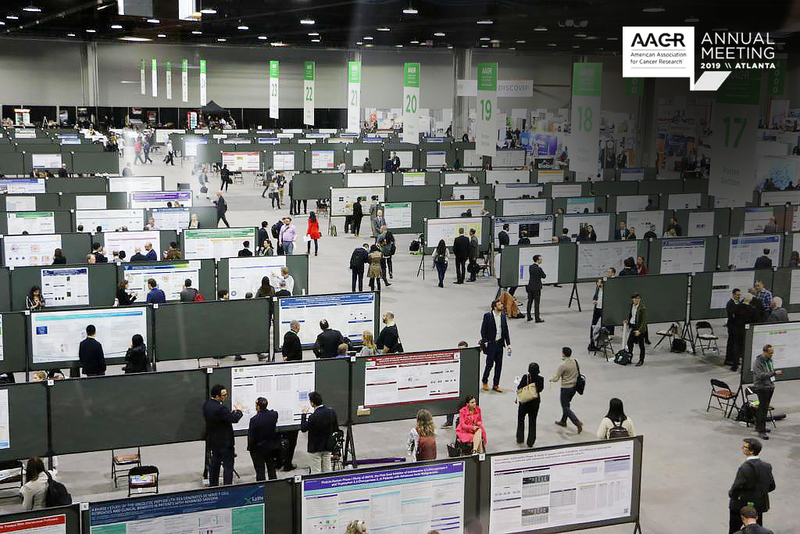 This confirms PDX as useful tools for deriving clinically relevant biomarkers, and the biomarkers discovered here could be beneficial for clinicians in choosing effective therapies for advanced CRC patients. 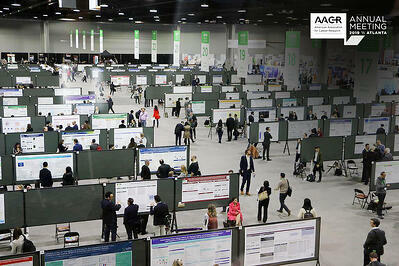 Keep up to date with all our AACR19 posters, read our new posts on humanized and syngeneic models, and the novel technologies and assays we’re presenting this week.